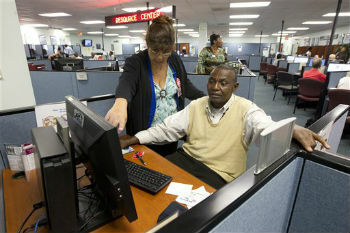 The number of Americans seeking unemployment benefits fell only slightly last week to a seasonally adjusted 382,000. The level suggests hiring remains weak. WASHINGTON (AP) — The number of Americans seeking unemployment benefits fell only slightly last week to a seasonally adjusted 382,000. The level suggests hiring remains weak.